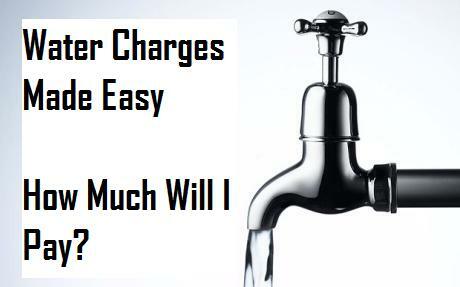 Water Charges Made Simple – How Much Will You Pay? The Commission for Energy Regulation are expected to confirm the cost per litre of water in Ireland in the Autumn but a common figure people are mentioning at present is 0.0022 euro per litre which is 2.20 euro for every 1,000 litres we use. Below I have broken down the main things we use water for in the home, estimated what each things costs and given a rough esimate on what water charges will cost a variety of different types of households based on the 2.20 euro per 1,000 litre figure and the allowances that Minister Hogan has announced for different types of households. 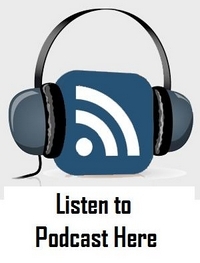 You can Listen here to Podcast of Water Charges Interview with Sean O’Rourke on RTE Radio about this on Wed May 14th. So what are the main things we use water for and what does it cost? Showers – On average people shower for about 8 minutes per day based on a UK Report conducted by homecare products manufacturer Unilver. Some showers particularly power showers have a water output about 17 litres per minute but let us be a bit more conservative and assume that your shower has an output of 12 litres per minute so you use 96 litres per day. Further down I have estimated the costs per household per annum but it is important to point out first I am basing this on the following assumptions. 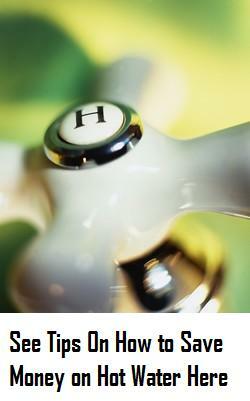 2: Members of the household take 8 minute showers everyday and the showerhead releases 12 litres of water per minute. – Two adult household use dishwasher three times per week and washing machine three times per week. – Five person household use dishwasher four times per week and washing machine five times per week. 4: Each household has one car that is washed at home once a month. 5: Toilets are six litre flush, each householder flush toilet 8 times per day but only 5 times a day in the home. 7: Each household uses an average of 20 litres per day for garden and other outdoor use. 8: Figures are based on a 52 week year and does not account for holidays. 9: An allowance is also built in for visitors to your home and guests staying over. What will Water Charges be per Household per Year? Every home is different and flow rates and individual behavioural habits vary greatly but hopefully some of you find this as a useful rough guide at the very least as that is all it is designed to be. 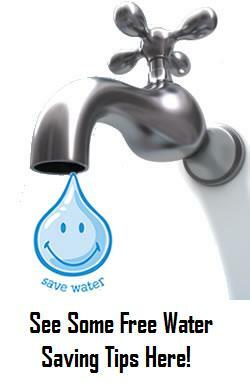 Beating the Water Meters – How to Save on Water! 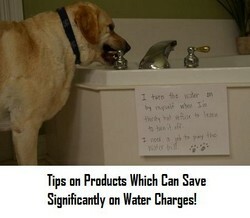 The free water saving tips that cost you nothing!